A while back I posted a picture of a bunch of rhubarb, the first of the season that I had just bought at the Union Square green market. The only text was a line saying I saw crumble in my future, above is said crumble. 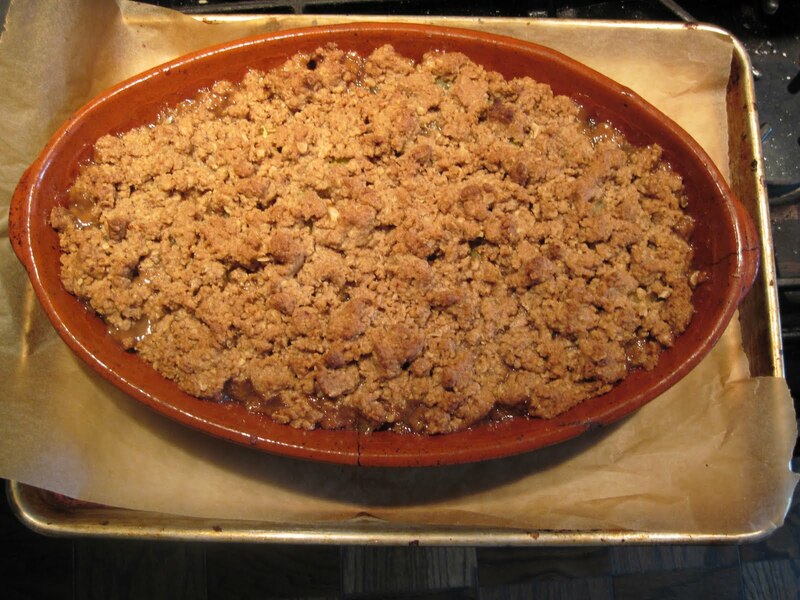 Toss 2 1/2 pounds chopped rhubarb, 1 1/2 cups sugar, 3 T flour, place in a baking dish (9×13) and cover in crumble. Bake for 45 minutes or until the fruit is bubbling and thick and the crumble has browned. Serve with unsweetened whip cream. This entry was posted in Recipes and tagged recipes, rhubarb, rhubarb crumble. Bookmark the permalink.